It’s hard to love big box stores. But it’s easy to love Barnes & Noble — at least, the Westport one. Sure, since it opened here more than 20 years ago it’s knocked off independent bookstores, plus toy stores and music stores and gift shops. But the selection is so good, and the managers are so community-minded, that we don’t really blame Barnes & Noble itself for all that. The store reaches out to local authors, and treats them exceptionally. Barnes & Noble also is there for every school fundraiser and educators’ event — and not just for Westport schools, but the truly needy in Bridgeport too. The real reason we love Barnes & Noble though, is the people. It’s rare these days — especially at big box stores — but the staff genuinely cares about helping customers. Plus, they know their stuff. That’s a winning combination. 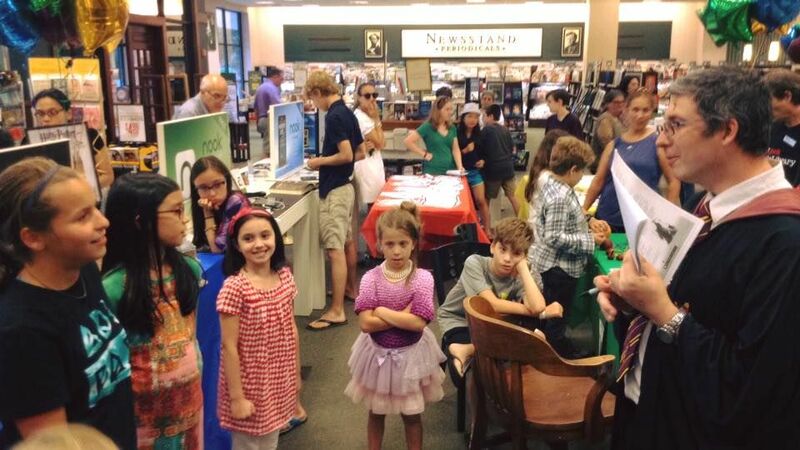 In 2016, youngsters enjoyed Barnes & Noble’s Harry Potter trivia event. The other day, I had a rare issue with a return. I contacted Tricia Tierney, the community relations coordinator I’ve known for years. Almost immediately, she made things right. She figured out the problem, and solved it. Then she went waaaaay beyond, making sure I was okay with the solution, and apologizing on behalf of her staff. It’s fashionable these days to think the only folks who care about customers are local mom-and-pops. It’s important, every so often, to acknowledge the Big Guys when they show small-town service. 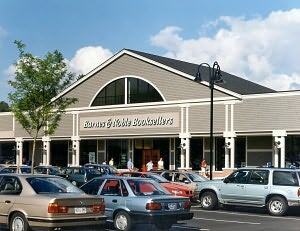 For well over 20 years, Barnes & Noble has been a big part of Westport, in all the little ways that count. Oh, yeah: Thanks for bringing back those comfy chairs too! For over 20 years, a familiar sight in Westport. This entry was posted in Arts, Local business, Unsung Heroes and tagged Barnes & Noble, Tricia Tierney. Bookmark the permalink. I love this store and I love Tricia. The staff are amazing. I am so happy we have them here, so many others are leaving downtown Westport. Hopefully it will turn into a more mom and pop town again since the big box stores are leaving. Barnes and Noble has become such an integral part of our community. It’s a place to find great books and music, toys for the kids and those little last minute gift items. You can share time with friends at the Starbucks Café or just hang out and read in those comfy chairs. And yes, the service is great and the staff is stellar. What more could you ask for? It’s definitely one of my favorite spots in town. Yes, perhaps in a perfect world we’d still have “Remarkable,” but this shop has been a terrific & valuable center for Westport … Tricia, whom I met when I co-chaired the CMS book fair for 3 years, is simply awesome, the staff is the best, and since my kids were little this has always been a welcoming, fun, go-to place in this community … Cheers!! Kudos to Tricia, as usual! The store is valued community gathering place and all those books!! A special thanks to Rob, who has helped me out many times with suggestions for my grandgirls. His enthusiasm for the NY Toy fair is contagious. B&N provides a wonderful environment for its customers and I just hope we don’t lose them to the obscene square foot cost in this town . The scary part is after 20 years, they are now the mom and pop place to go!! And with all the kid’s crap for sale in town, it’s a true pleasure to see mom and dad with kids in tow, choosing books for all; each kid eagerly selecting that most important read. And the “easy” chairs provided for quiet time in a public space…wonderful and important. Remarkable did not have that.